A University of Ulster researcher has won plaudits for his research exploring how cities can become more competitive. Dr Shaleen Singhal, a lecturer in Ulster’s School of the Built Environment, says that a focused vision integrating regeneration and business strategies is the key to enhancing the competitive performance of a city and harnessing new opportunities for economic growth. His study entitled: City Competitiveness, Regeneration, and Property-led Business Strategies, has been highly commended in the 2009 Emerald/EFMD Outstanding Doctoral Research Awards. Dr Singhal competed with entrants from 37 countries worldwide to be selected for the global award scheme. Each year, a panel of top academics choose the best doctoral research works from a variety of categories, each of which is sponsored by a prestigious Emerald journal. Dr Singhal was selected as a Highly Commended Award winner in the Property Investment and Finance category. 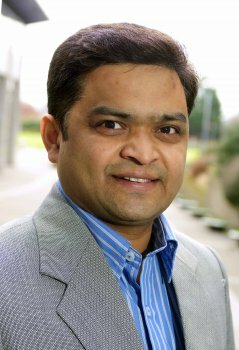 After comparing the competiveness of five cities in the United Kingdom; Birmingham, Glasgow, Liverpool, Belfast and Thames Gateway Areas, and five cities in India; Delhi, Mumbai, Bangalore, Jaipur and Lucknow, Dr Singhal found that for a city seeking to promote its competitiveness, the focus needs to be on securing quality investment, improving access to finance, building the social capital, steering quality development and occupation and creating the necessary physical environment. Dr Singhal’s research highlights the potential for economic growth in middle tier cities with a need for focused strategies to sustain performance over time. “The requirement of delivering a coherent policy approach through proactive partnerships, engaging champions, joined up thinking and progressive business environments are essential for strategic policy guidance and attracting investment into leading sectors, he says.